An Bang is one of the few remaining stretches of beach that remains mostly unspoilt by development, offering clean blue sea, castaway restaurants and bohemian beach bars. 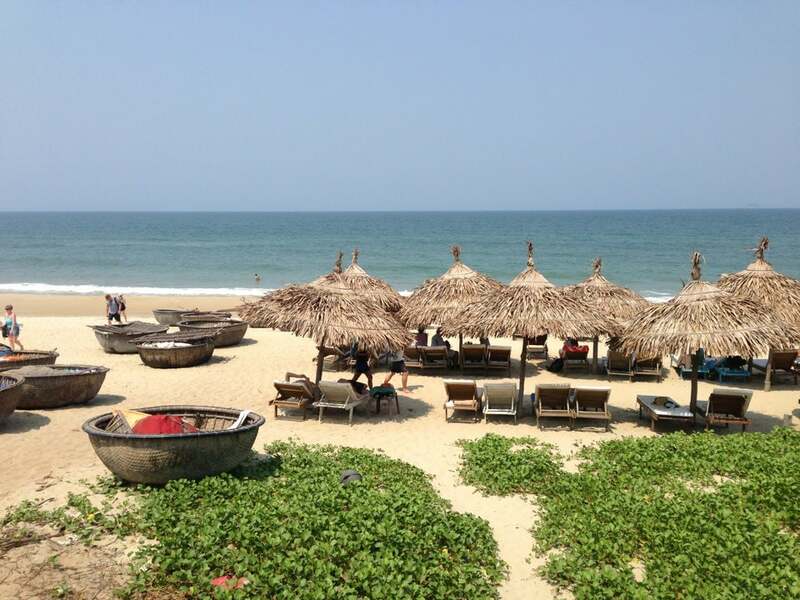 It flaunts not only the most fabulous island and mountain views that you don’t even need to climb off your lounger to enjoy but also some of the best seafood in Hoi An. And unlike many beach destinations there is something to do whatever the season, whether you prefer some self-indulgent R&R or an action packed surfing safari, An Bang never shuts shop. 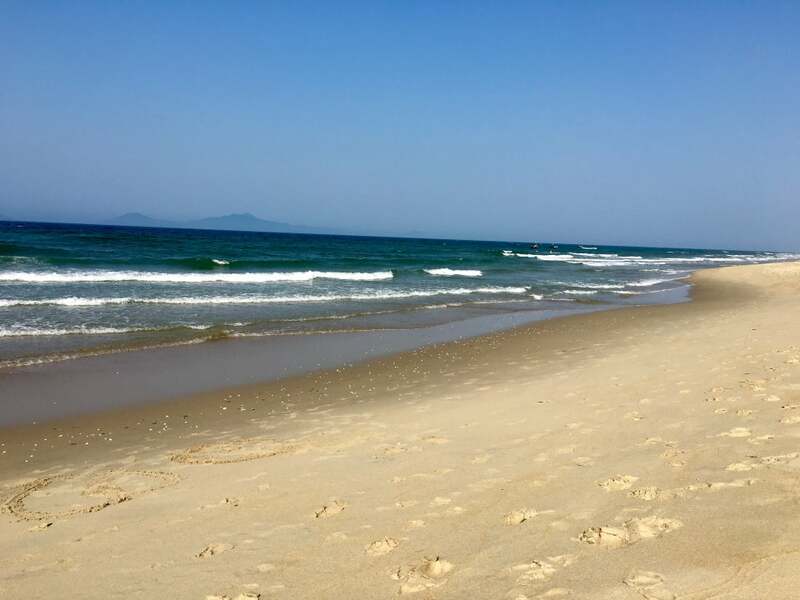 This little slice of paradise is finally giving the more well known Cua Dai Beach a run for its money and what’s so great is that it’s popular all year round with both locals and tourists alike. 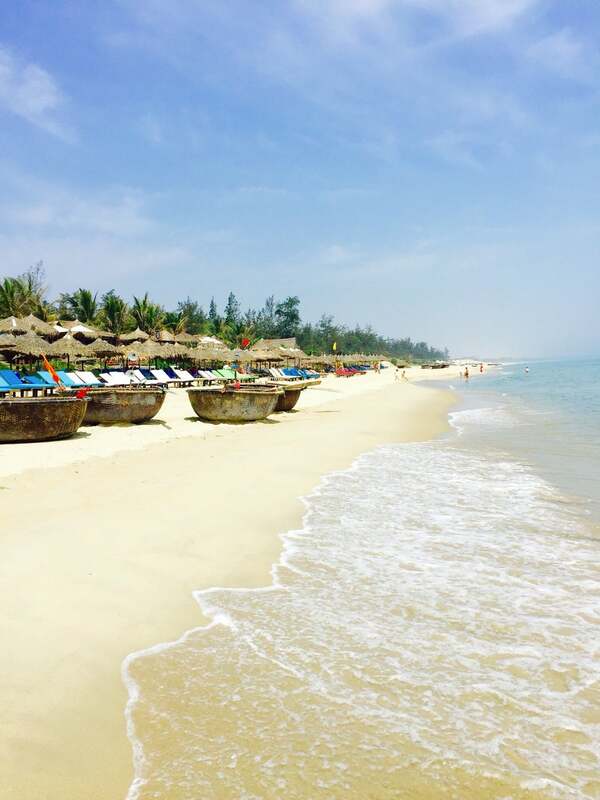 During the popular summer months, the local Vietnamese crowd comes here mostly for sunrise swims and sunset family beach barbecues, meaning that during the day it stays quiet. The dry season falls between March and September, offering the best beach weather with temperatures soaring into the 30s and beyond. If tanning and beach lounging are your things, for the price of a bottle of water you can hire a sun lounger for the day. Beach activities on offer other than lolling around in the sea are a little thin on the ground, but if a game of pool or petanque floats your boat then Banyan Bar is a good bet — they also hire out both body and paddle boards. If you are looking for company for your kids, Soul Kitchen is where the local expat children hang out after school and at weekends, providing fun playmates to give frazzled parents a breather from sandcastle-building duties and cries of “I’m bored”. As the wet season hits (October to February), An Bang’s micro-climate is full of little surprises, offering the odd sunny day and one of the most incredible places to sit and watch the storms come in over the mountain borders of Da Nang. This is also the time for some pretty spectacular surfing conditions when six-foot waves roll into An Bang’s beach break. If you need to hire a board, fancy some lessons or want to meet up with the expat surf community, your best bet is to contact Bondi surfer Dale who runs a surf school for all levels from An Bang’s sandy shores. Like all good beach bars and restaurants should, they stay open as long as there are customers, but if you are looking for a party then weekends are partied time at Soul Kitchen, who put on some very cool events with great food and DJs. Midweek groups should head towards La Plage where bar manager Matty is happy for you to take over the playlist and serve up drinks till sunrise. At the foot of the Marble Mountains in Ngu Hanh Son District’s Hoa Hai Ward.